Orange & District Historical Society’s first History Alive meeting for the year focuses on Granville Staplyton, Major Mitchell’s second-in-command on his Australia Felix expedition in 1836. 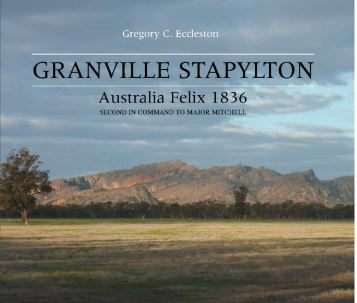 Author Greg Eccleston has written a magnificent book detailing the life of Staplyton and the expedition he shared with Major Mitchell. He will give a talk on Wednesday 13th March, at 6 for 6.30pm at the Senior Citizens Centre (Enter via Woolworth’s car park), Orange. Entry is $4 for members and $6 for non-members. After Greg’s talk a light supper will be served.